The Harvard Apparatus Compact Stereotaxic Instrument for mouse is sold with the base plate, 3-axis manipulator arm, species adapter, ear bars and holder with corner clips all suited for applications involving mice. The Harvard Apparatus Compact Stereotaxic Instrument for Mouse is a high quality stereotaxic instrument ideal for a number of applications. The dual-lead screw design ensures stable, accurate and smooth manipulations while the laser engraved scales offer ease of reading. The instrument offers 180° vertical rotation and 360° horizontal rotation, with the ability to lock at any angle. The unit creates a very small footprint; the single mouse base plate measures 25.5 x 25.5 cm while the dual mouse base plate measures 40 x 25.5 cm. 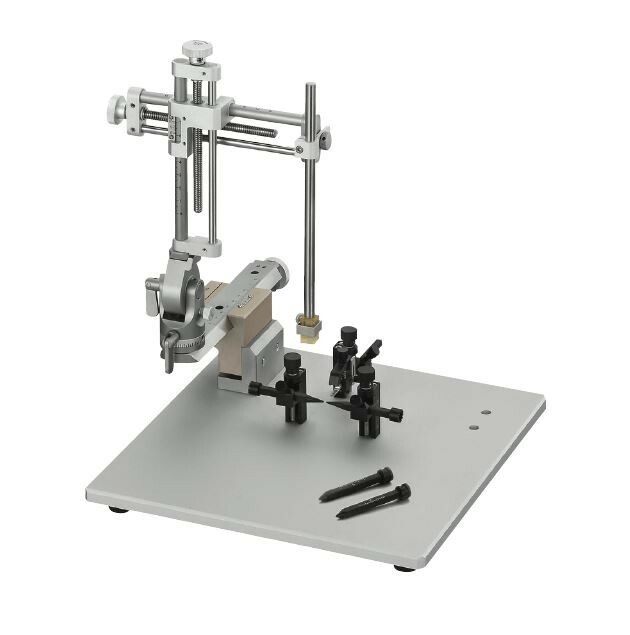 Digital manipulator arms are available and provide the addition of a displacement transducer and compact LCD display. Together these additions allow real-time coordination presentation of all three axes to a resolution of 10 µm. The display has the ability to run on either AC power or battery power, drastically reducing electronic noise and making it suitable for electrophysiology experiments.